Publisher’s Weekly notes that Apple offers just 130,000 books in its iBookstore, vs. the 300,000 applications in its app store — and you can’t even access Apple’s iBookstore from your computer, but only from a mobile device! Maybe there’s a “stealth revolution” underway, and the Kindle’s popularity is Amazon’s own delicious secret. But if that’s true, then it’s got me curious. 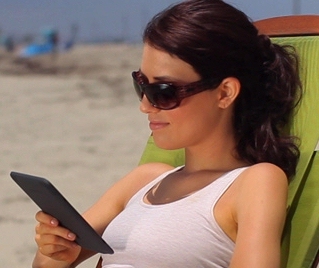 What kind of Kindles are people actually buying? I decided to ask a friend who publishes a popular technology site, and they agreed to anonymously share the break-down of their own sales for the last 30 days. They’d sold 90 Kindles — more than $13,000 worth — but eighteen of them were 2nd-generation Kindles. (Which is exactly 20%…) Almost two-thirds of their sales were for the new, cheaper WiFi Kindle — but that’s probably because Wi-Fi Kindles were specifically mentioned in Amazon’s ads. (“The All-New Kindle. Built-in Wi-Fi. 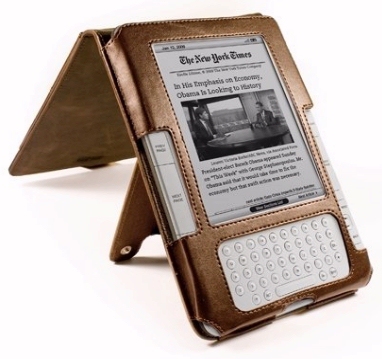 Only $139…”) Since they’re only available in the new black color, this suggests we may start seeing fewer people in 2011 who are still carrying around the old-fashioned white Kindles. Although maybe not. My friend’s web site also sold 15 of the new Kindle model that ships with both Wi-Fi and 3G connectivity — and only three buyers requested the graphite-colored Kindle. With this model there’s a choice of colors, and given a choice, 80% of the shoppers apparently went with a traditional white Kindle. And if you’re a new Kindle owner, remember. 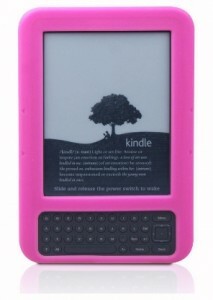 If you wrap your Kindle in a rubber “skin” you can change it to other colors, like blue or pink!